The tournament may have been shunted forward to accommodate the World Cup, and the schedule may have been delayed by the mind-boggling security and logistical operation of the Indian general election, but don't let anyone tell you that this is any sort of IPL Lite. This is the real deal: 8 star-studded teams duking it out over six weeks or so in the richest, most prestigious and still the biggest of all the world's T20 tournaments. Here's our exhaustive handbook on the 12th edition of this rolling cavalcade of fours, sixes, wickets and thoroughly underwhelmed cheerleaders. IPL record: 3 x winners, 3 x runners up, have never failed to make the playoffs. Suspended in 2016 and 2017 due to fallout from a spot-fixing scandal. *England bowling all-rounder David Willey was retained, but on 29 March pulled out of the tournament to remain in Yorkshire and support his wife through the late birth of their second child. **SA fast bowler Lungi Ngidi was retained, but on 20 March was ruled out of the tournament with a side strain. Injury replacement Scott Kuggeleijn. Watson shows no-signs of slowing down – he was the leading run-scorer in the recently concluded PSL, with 430 runs at an average of 43 and a strike-rate of 143.81 (8.63 RPO). Jadhav missed all of last year; if he's fit, his powerful batting and right-arm underground bowling could be a huge asset. There's always a danger this is the one season too many for veterans like Raina, Vijay and Harbhajan. Indian seamers (Mohit, Chahar, Thakur) are very similar, and there is little backup. The loss of Ngidi robs CSK of their only truly fast bowler. Only Tahir is really a wicket-taking spinner. What's in a name? 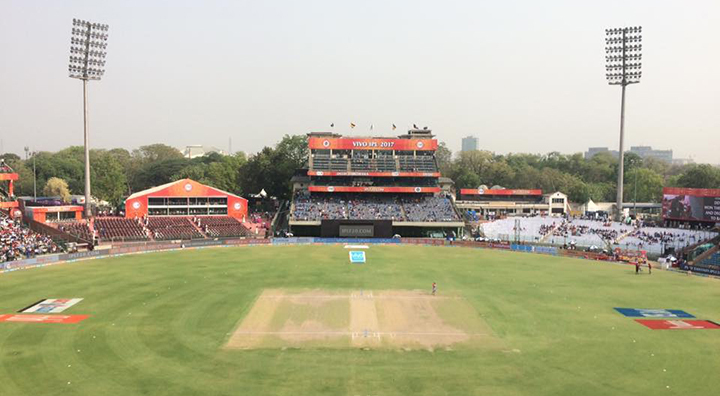 Delhi have changed their moniker to the Capitals but will still be stationed at the Feroz Shah Kotla. IPL record: Semi-finalists in 2008 and 2009, playoffs in 2012; haven't finished higher than 6th since. *On 14 April, Harshal Patel was ruled out of the tournament with a hand injury. Injury replacement Jagadeesha Suchith. Superb young Indian batting talent with Shaw, Iyer and Pant. Pant had an outstanding IPL 2018, with 684 runs (2nd only to Kane Williamson) at an average of 52.61 and a strike rate of 173.60 (10.41 RPO). He is also available for babysitting duties. Plenty of good spin options with wrist-spinners Mishra (3 IPL hat-tricks), Lamichhane (has ripped up every T20 league he's played in) and Tewatia, and slow left-arm orthodox Axar and Saxena; even Ingram can be useful as a partnership breaker. They've consistently been less than the sum of their parts – Delhi Daredevils by any other name? Munro is much weaker against spin than pace. Lack of Indian fast bowling – Avesh Khan is talented but raw, while Ishant is admirable but not so well suited to T20. Vihari's T20 credentials are unclear. The slow Feroz Shah Kotla pitch may negate a powerful batting line-up. Coach Ricky Ponting and mentor Sourav Ganguly could be overwhelming presences in the dugout. Last year: 7th of 8 – won 5 of their first 6 games and were joint top, but collapsed horribly losing 7 of their last 8 games including all of their last 5. KXIP's best players are up there with anyone's: Gayle, Rahul, Tye, Mujeeb. Tye won the Purple Cap (for the leading wicket-taker) last year, with 24 wickets in 14 games, and is one of only 14 bowlers to take a hat-trick in the 11 years of the IPL. 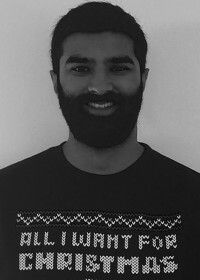 Rahul was brilliant last year, passing 90 three times, including the fastest fifty in the tournament's history (off 14 balls v Delhi Daredevils). Ashwin is a clever cricketer and captain, and should pair well with the understated former BlackCaps coach Mike Hesson. 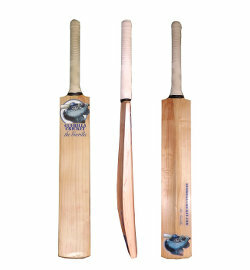 The top and middle order is flexible and has plenty of quality back-up. If Pooran works, he'll be a star of the league. Heavy investment in teenage Indian talent with keeper-bat Prabhsimran Singh and spinning all-rounder Varun Chakravarty, refreshing the squad after the overdue departure of the admirable but aging Yuvraj. They're a streaky team with no track record of consistency. Miller hasn't done his talent justice in the IPL. Has Gayle still got it? A little light on fast bowling support for Andrew Tye – Shami can be brillIant or awful in T20, often in the same spell, and Rajpoot is useful but not likely to rip through anyone. It was announced on 20 March that SA fast bowler Anrich Nortje will also miss the tournament with a shoulder injury – injury replacement TBC. Settled batting lineup where everyone knows their job: Narine and Lynn blast off; Uthappa plays his shots; Karthik, Gill and Rana float and adapt to the situation. Best spin attack in the tournament: Narine and Kuldeep are world-class, Chawla's still got it, and with Rana and Denly capable of bowling 4 overs, KKR could bowl 18-20 overs of spin if need be. Kuldeep is ranked 5th among T20I bowlers, and is one of only two Indians along with Bhuvneshwar Kumar to have a 5-for in all three international formats. Gurney could be one of the bargains of the tournament – smart work in the auction by KKR, and smart by him to set a low base price. Dinesh Karthik is a good captain and keeper, and a dangerous T20 batsman in almost any circumstances. Lynn and Russell's injury records in particular are a concern. Lynn can be slowed down by spin. Will Narine be found out as a pinch-hitter? Have lost three fast bowlers – India U19 World Cup winners Mavi and Nagarkoti, and SA speedster Nortje – to injury before the tournament has even begun, from an already small squad. Prasidh Krishna and Warrier will need to step up. Last year: 5th of 8; always one for the slow-burn, they won 5 of their last 6 games but 1 win in their first 7 left them too much to do to make the play-offs. *NZ fast bowler Adam Milne was retained, but on 21 March was ruled out of the tournament with a heel injury. Injury replacement Alzarri Joseph. *Lasith Malinga has been made available for the whole IPL, having initially been told by Sri Lanka Cricket he had to play the whole of the domestic 50 over tournament. He may still miss part of the IPL. *On April 14, Alzarri Joseph was himself ruled out of the tournament with a shoulder injury. Injury replacement TBC. Rohit has said he will open, but with Lewis and de Kock in the squad he will struggle to keep doing that throughout the campaign. Expect him to move down the order in place of Ishan Kishan, Evin Lewis to come in at the top of the order, and Barinder Sran to come in for Ben Cutting or Mitchell McClenaghan. Seemingly unkillable – forever recovering from terrible starts to games and indeed whole tournaments. Bumrah is the world's best death bowler, and even an aging Malinga is still capable. Good overseas fast bowlers, albeit Milne's absence will be felt. If Markande can repeat last year's form, he will be a threat. Excellent top-order – he doesn't have the star power of Rohit, Lewis or de Kock, but underrate Suryakumar at your peril. Rohit is a fine T20 captain. Too many good wicket-keeping options, and too many top-order players – Rohit will have to be shunted down the order, or one of de Kock or Lewis can't play. The squad has a stale look to it – Lewis hasn't recaptured his best form, and Pollard and Malinga can't have long left. Of the four spinners only Markande is a consistent wicket-taker, though Krunal Pandya is certainly talented. Last year: 4th in the league stage. Knocked out in the eliminator by a late blitz from the KKR middle order, in particular Andre Russell. IPL record: Champions in 2008 (1st year of the IPL). Playoffs in 2013, 2014 and 2018, did not make the final in any of those years. Suspended in 2016 and 2017 due to fallout from a spot-fixing scandal. *Unadkat was released by Rajasthan, and so entered the auction pool, but was bought back early in the auction. Rajasthan thus managed to keep a key player for a 25% price reduction. As he will be playing for Rajasthan, we are not treating him as a released player. Strongest XI is really-well balanced. Jos Buttler – swoon. Was brilliant last year at the top of the order and had a very good recent Big Bash. Powerful middle and lower-order from Tripathi down to Gowtham, with Livingstone and Turner waiting in the wings. Getting Unadkat back cheaper could be a masterstroke. Rahane goes under the radar in T20, but he is effective in the Powerplay, useful in a collapse and a good, calm leader. Is Steve Smith fully fit? Even if he is, can he and Rahane play in the same XI without slowing things down too much? Ben Stokes has had one brilliant IPL and one poor one – how will he fare? Ish Sodhi is a fantastic T20 spinner and seems doomed to spend another season on the sidelines. Last year: 6th of 8 – were never really in the hunt for the playoffs, failing to win consecutive games until it was really too late. IPL record: Runners-up in 2009, 2011 and 2016, playoffs in 2010 and 2015. Have been awful for the last two years despite (or perhaps due to) a Galactico-like array of talent. *On 12 April, Nathan Coulter-Nile was ruled out of the tournament with a back injury. Injury replacement Dale Steyn. * At 16, Kolkata born-and-raised Barman, a leg-spinning all-rounder, is player in IPL history, and the youngest ever to fetch over 1 crore. He was Bengal's top wicket-taker in the Vijay Hazare Trophy (List A equivalent to the Ranji Trophy), with 11 wickets in 9 games at an average of 23 and an economy rate of 4.45 RPO, that too in his first professional season. Unbalanced squad generally – too many all-rounders and hit-a-length quick bowlers, not enough top order batsmen. There isn't a single specialist opener in the squad, so it's anyone's guess who's at the top of the order. Thus Kohli may have to open, which isn't the best use of his abilities. Kohli's T20 captaincy is open to question. The death bowling was atrocious last year, and there's no reason to suspect it'll be any better this year – Southee, Coulter-Nile, Umesh, Siraj and Saini are all better in the Powerplay or in the middle overs. The only team you wouldn't always back to defend 230. Over the last two years, RCB turned from the great entertainers into a joke, and not even a particularly fun one – it remains to be seen whether Gary Kirsten can reset the team culture and make them a coherent unit. Which Chinnaswamy pitch will turn up this year – the fast-scoring belter, or the slow turner? Last year: Runners-up – topped the league stage, lost to CSK in the first qualifier, needing maybe the greatest individual T20 performance ever from Rashid Khan to beat KKR in the eliminator (34* off 10, 3/19, two catches and a run-out), and got brutalised by Shane Watson to lose the final to CSK. IPL record: Replaced the Deccan Chargers from the 2013 season on. Champions in 2016, runners-up in 2018, playoffs in 2013 and 2017. Consistently the best bowling team in the IPL. *Saha was released by Sunrisers, and so entered the auction pool, but was bought back early in the auction. Sunrisers thus managed to keep a key player for a 75% price reduction. As he will be playing for Sunrisers, we are not treating him as a released player. The best bowling team in the IPL – so many options, including players like Shakib, Nabi, Sandeep and Stanlake who won't play every game. And in Bhuvi and white ball GOAT Rashid Khan, they have two of the very best. They are the only team you'd back to defend 130. Rashid Khan is the world's no.1 ranked T20I bowler, while Nabi is no.5. Have recruited smartly to offset the loss of Dhawan – Bairstow adds power at the top of the order and brilliant outfielding; Warner if fit and focused is a huge asset; and the three Indian all-rounders Shankar, Nadeem and Abhishek Sharma balance the roster. Abhishek Sharma scored 46* off 19 for Delhi last year vs RCB in one of the rare chances he got (though Delhi still lost, thanks to one of the rare occurrences of the AB-&-Kohli Show). He is the second youngest player in this year's tournament at 18 years old. Well captained by Williamson, who found a way to score quickly without compromising his core game of finding gaps and playing smart – he was last year's Orange Cap winner, topping the run-scoring charts with 735 runs, at an average of 52.50, at a strike rate of 142.44 (8.55 RPO). Saha is one of the world's very best wicket-keepers – vital with spinners of Rashid's class. They are a team, not a collection of names, hence the targeted acquisitions rather than a spending spree. The squad is quite small, and heavily weighted towards bowlers and all-rounders, with top-order bench strength limited. Shakib was a vital part of last year's team, but the balance of the squad means it's difficult for him to find his way in – ditto the adaptable Nabi. Kaul began to get hit around towards the end of last year's competition, and has struggled with the step up to international cricket. Bhuvi and Saha will both need to be carefully handled, having had long-term injuries exacerbated last year by mismanagement. There you have it! All 8 teams, laid out before you like a fine cricketing smorgasboard. We'll have ball-by-ball commentary every game from this first weekend and Monday LIVE, and more besides, here on guerillacricket.com and, in partnership with our friends at CricTracker India, on Facebook Live. Let the games begin! Don't forget to follow us on Twitter @guerillacricket for news, in-game updates, and up-to-date details of our coverage of this year's tournament! A note on currencies: one lakh is 100,000 (one hundred thousand) rupees, 1 crore is 10,000,000 (ten million) rupees. Conversions to US dollars and British pounds are correct as of 21 May 2019, and are rounded to the nearest 1,000. 14 April 2019 - Article updated with the news of Delhi Capitals' Harshal Patel being ruled out for the season, to be replaced by Jagadeesha Suchith. 12 April 2019 – Article updated with the news of Royal Challengers Bangalore's Nathan Coulter-Nile being ruled out for the season, to be replaced by Dale Steyn. 31 March 2019 – Article updated with the news of Chennai Super Kings bringing in Scott Kuggeleijn as an injury replacement for Lungi Ngidi, and losing the services of David Willey for the season due to family reasons. 28 March 2019 – Article updated with the news of Mumbai Indians bringing in Alzarri Joseph as an injury replacement for Adam Milne. 26 March 2019 – Article updated to take account of the increased availability of Mumbai Indians' Lasith Malinga. 23 March 2019 – Article updated to take account of the tournament-ending injury to Mumbai Indians' Adam Milne and the partial unavailability of Mumbai Indians' Lasith Malinga.